Good morning paper crafters! Nicole here today with a fun picture tutorial just for you! Creations Galore recently received a shipment of goodies by Elizabeth Craft Designs. I was told you could color over their glitter with Copic markers for a beautiful final result. From the photo above, you can easily see that they were correct. However, I didn't have a sample and was terrified to begin this process! I tested all of the products Creations Galore ordered, made some beautiful pieces of art, and came out with some tips and tricks that will help you create your own masterpieces! 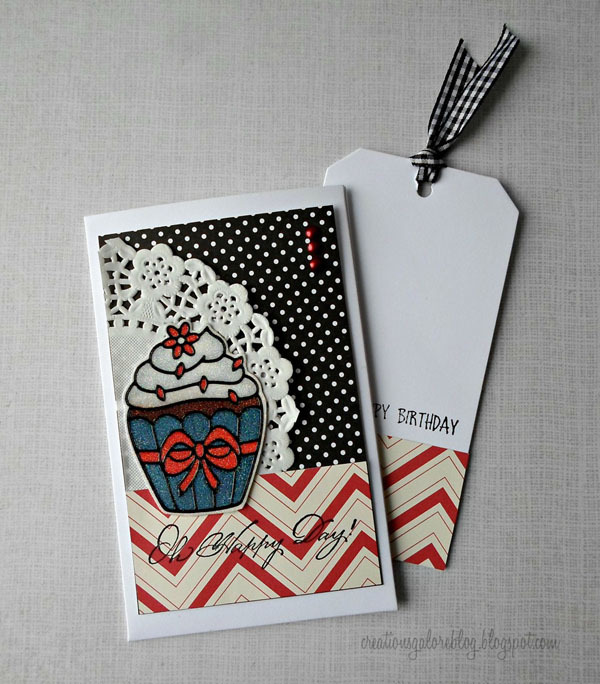 The peel-off stickers can be from any brand, but Elizabeth Craft Designs is our favorite. 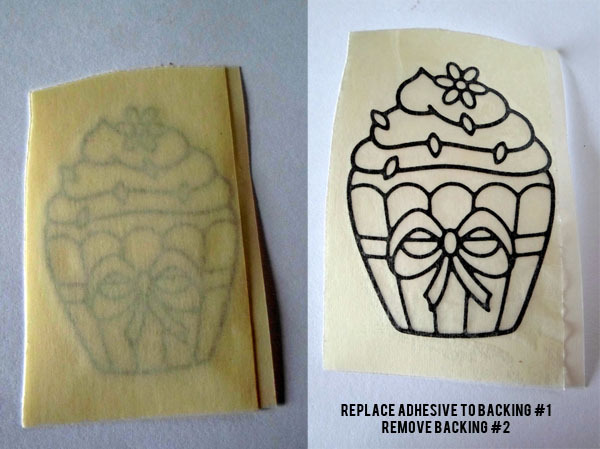 In this tutorial we'll be using Black Cupcake Outline Stickers. Maybe you have some stickers already in your stash that are an outline of an image. They would be wonderful for this tutorial! I also want to make note of the fact that this type of sticker can be used in a variety of ways - no glitter needed - and I'll be showing you those ideas in the coming weeks. Visit the blog often for more inspiration or sign up to receive them by email (just add your address to the box on the top left side of the blog)! Now, let's get to this tutorial! 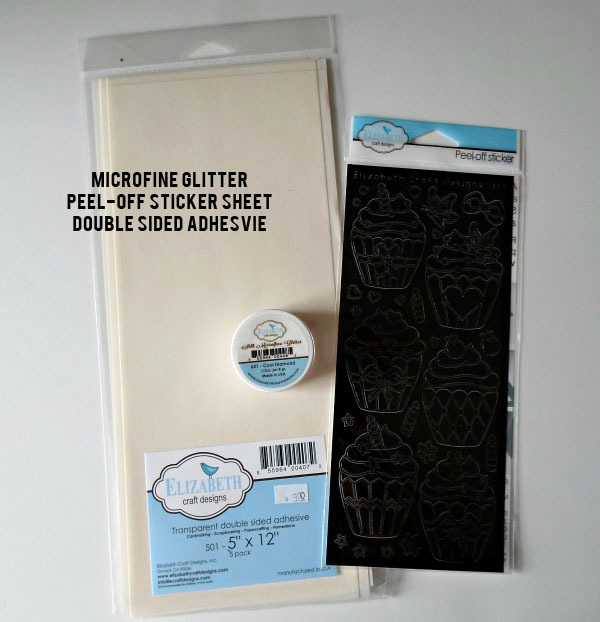 Your first step is to cut a piece of double sided adhesive a little larger than the sticker you've chosen. Working with a small piece is much easier than using the entire sheet. Remove one side of the paper backing. In the above picture, the sticky surface is on the left and the non-sticky backing is on the right. 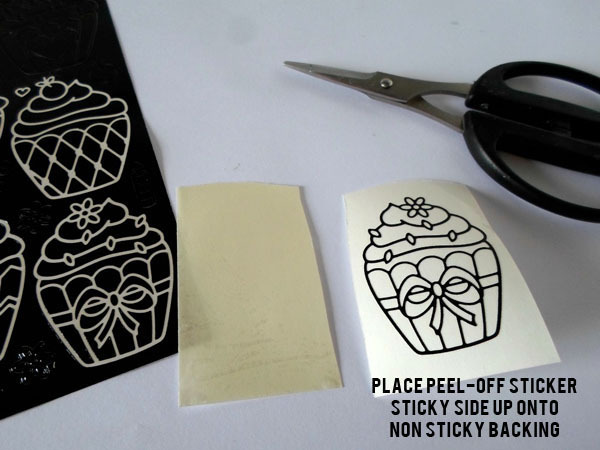 Peel off the outline sticker and place it sticky side up onto the non-sticky backing as shown in the picture. Replace the sticky surface (left side) to the backing. Once you've replaced the two backings together, press down to make sure the outline sticker has fully adhered to your double sided adhesive. 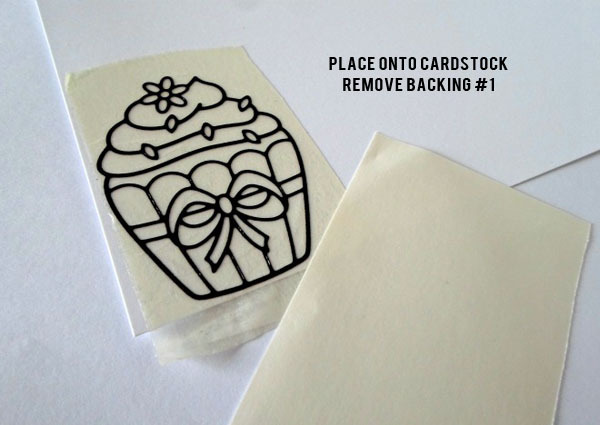 Remove the backing you have yet to remove from your double sided adhesive - this will be the back side of your sticker - and place the full sheet onto cardstock. It should look like the picture below. Tip One: The first time I experimented with the double sided adhesive, I laid the adhesive directly onto the cardstock and then placed the sticker on next. I would advise against this. It was hard to lay the sticker on flat, and once it touched the adhesive, it was hard to remove it. The result was an uneven, messed up image. That's not to say you don't have more patience and grace than I, but it ended up being far easier and faster to complete the process with the pictured steps above. Here's where the coffee filter and spoon come into play. 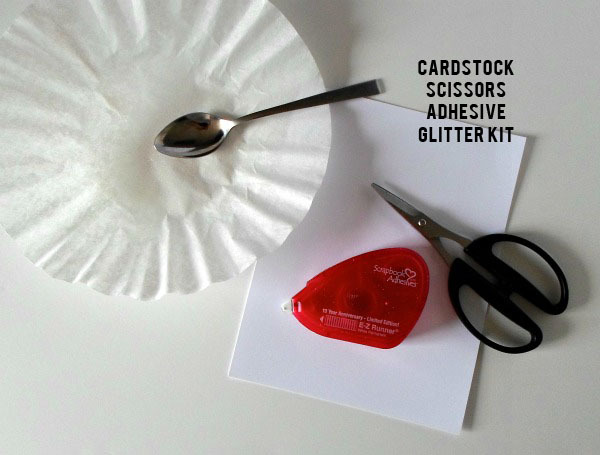 Coffee filters have a bowl-like shape that can nicely store excess glitter before easily molding into a funnel to return the glitter to its jar. I've found that they seem to have a little less static than a scrap piece of paper as well... But maybe I'm crazy! If you complete this next step correctly, you won't even need the filter! Place your sticker in the coffee filter or hold it over the top. 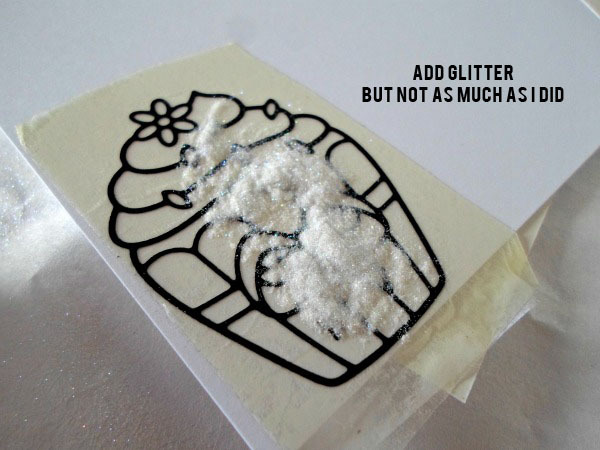 Use a spoon or other small scoop to add the world's smallest amount of glitter to your design. 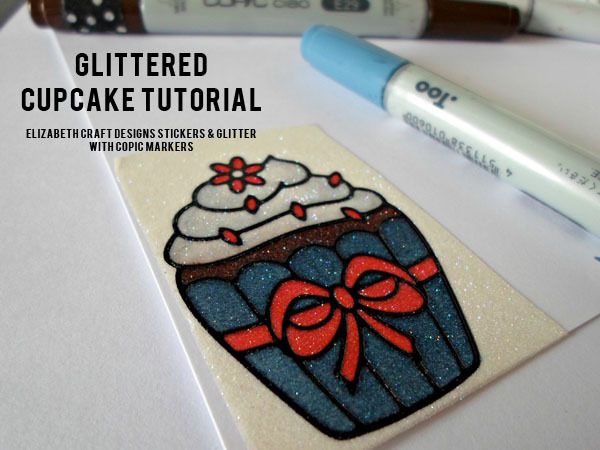 Tip Two: The first time I added glitter, I dumped half of the container of glitter over the entire image like it was embossing powder. Ladies! It's microfine glitter! What was I thinking?! Don't do it! They should replace the word microfine with static cling! Even the picture above (my third attempt) turned out to be too much glitter for the image. Isn't that crazy?! Less really is more in this case. 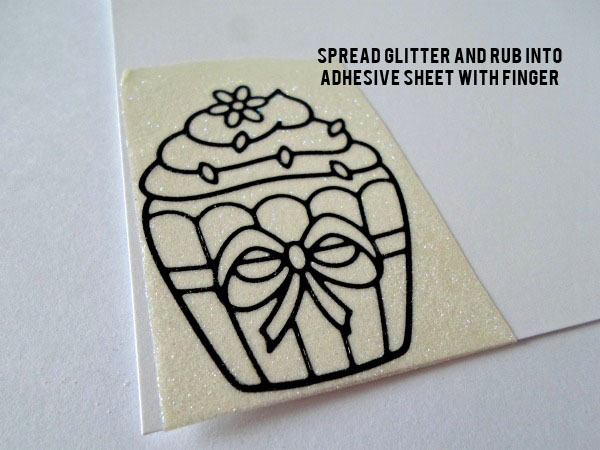 Once you have added a small amount of glitter to the design, use your finger to spread the glitter around and rub it into the adhesive sheet. I like to spread the glitter out to the surrounding areas of the adhesive sheet. 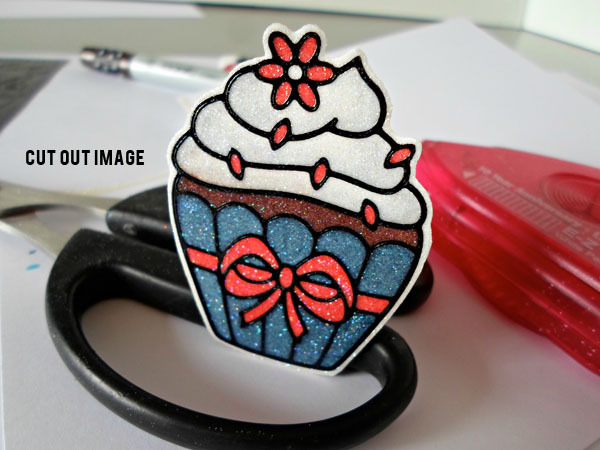 Tip Three: If you add glitter outside the image, your scissors will not stick to the sheet when cutting! The look of the glitter is breathtaking. Go ahead and just take a few minutes to look at it. If you're like me, you love anything shiny! Use it as is or add some color. Decide on a color scheme and get to work! You can color directly onto the glitter using your marker nib. And it won't ruin it! Tip Four: Every once in a while, a spec of glitter did end up on my marker nib. I used my finger or a scratch piece of paper to remove the glitter and kept working! Try adding flat color - only one marker per color - or blending - using two to three markers to achieve a dimensional looking object. I found blending on the glitter was extremely easy - Almost easier than blending on cardstock alone! 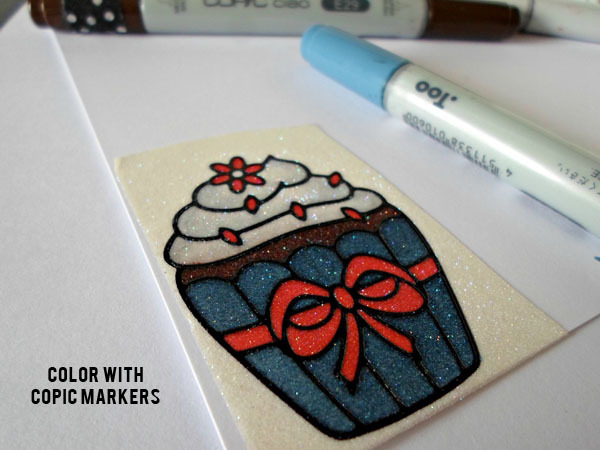 Tip Five: Tap the tip of your marker once onto the glitter to see how much it bleeds to the surrounding areas. I found it easy to over-saturate the paper. The last thing you want is color bleeding outside the lines and ruining your gorgeous, glitter-filled creation! Don't have alcohol based markers? I highly recommend investing in a few. Besides the gorgeous results of blending, you can dye metal, glass, acrylic, and GLITTER with them! I did try a water based marker over the glitter, and it worked. However, it also wiped off. You could spray the colored image with a fixative to keep it from smearing, but Copic markers are my first recommendation. Next, cut out your design. You could cut out the full rectangle, cut around the sticker, or cut close to the black outline. The option you choose will depend on your final project. You're almost done! 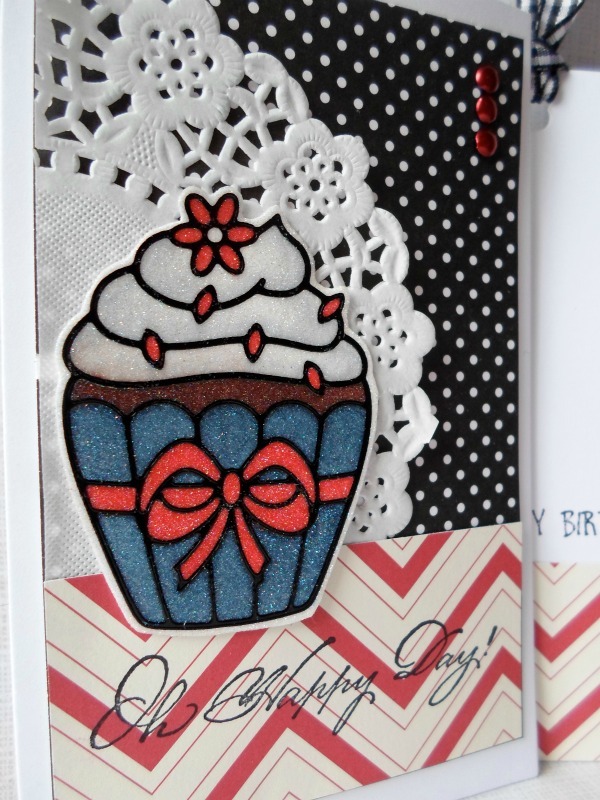 Gather together paper, stamps, and embellishments to create something beautiful and unique using your new technique! 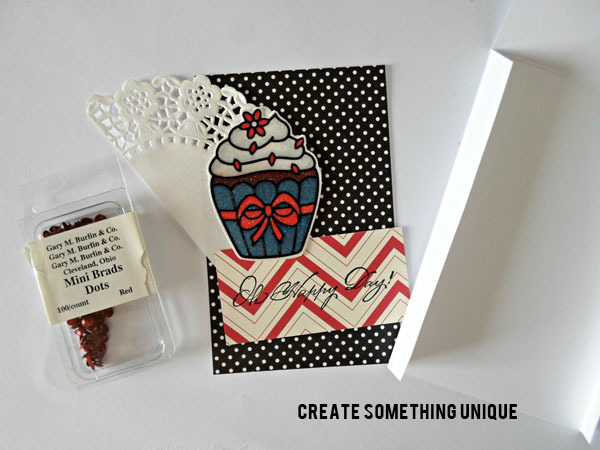 Creations Galore carries these fun Library Pockets that are the perfect size for gift cards. 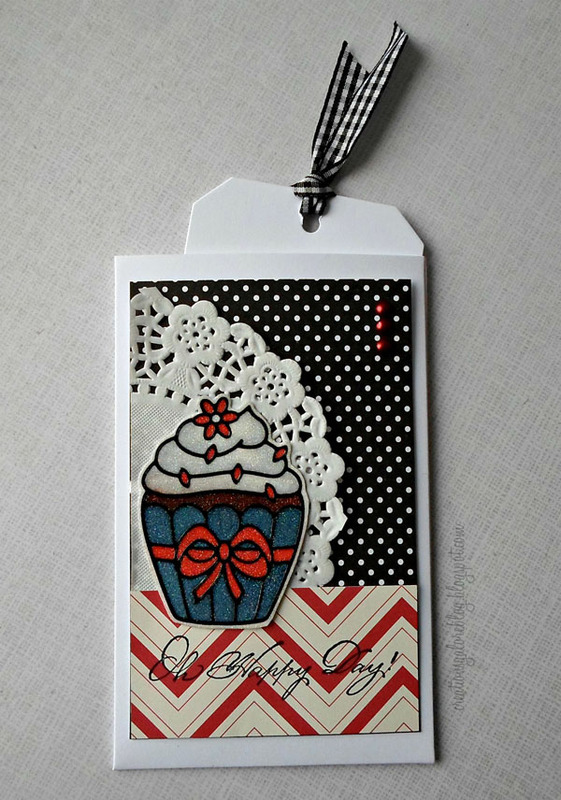 I included a die cut tag for a written sentiment and slipped it inside. Because the backside of your image is cardstock, you will have no trouble adhering it to any project! Thanks for stopping by to check out today's tutorial. Stop into Creations Galore soon to see additional samples and products. What a fabulous tutorial! Loved every tip and the finished product is amazing! LOVE LOVE LOVE.